In response to this in-office diet craze, where everyone is eating scads of steamed broccoli and cringing while staring at the break room candy with longing, I went home last night and made marshmallows. This is what chocolate covered, peanut butter filled marshmallows look like…if you know what you’re doing and use a recipe. *Courtesy of Fancy Toast. Click to discover delicious. Admittedly, I did it with the same level of artistry as the entire Nailed It! section of Pinterest. But anyway, they’re totally delicious. So here’s how you make marshmallows if you’re also watching TV and eating all the ingredients at the same time. 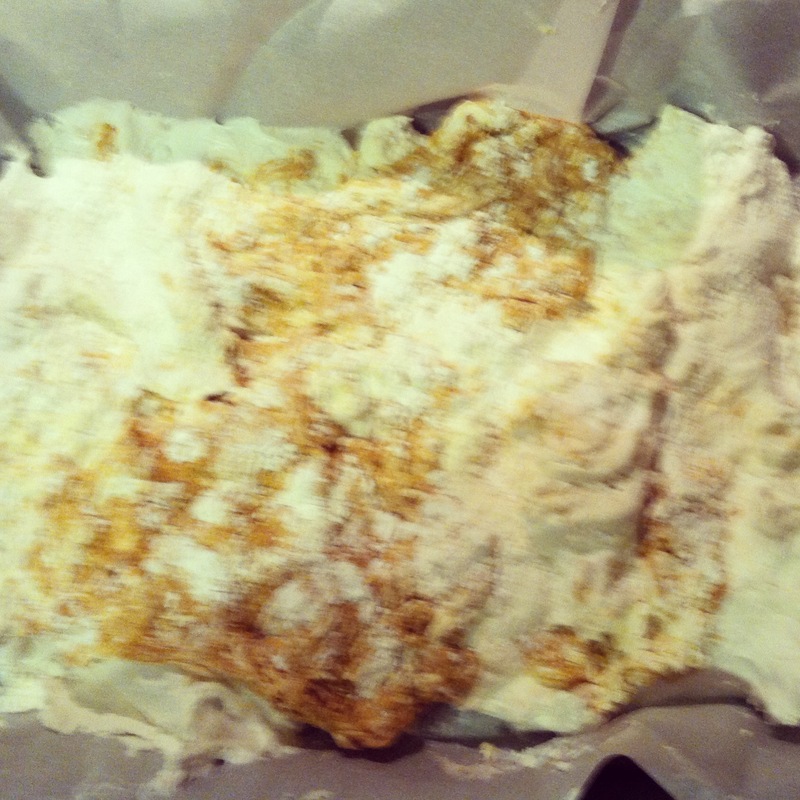 2: Disregard all recipes and decide to wing it, based on what you remember about the recipe you used last time. 3: Assemble ingredients you think you’ll need. Replace the raw honey you used last time with Karo syrup and sugar in whatever amount you feel like. Because, you know, we’re not going for natural or healthy here. Everything you need to make marshmallow blobs. 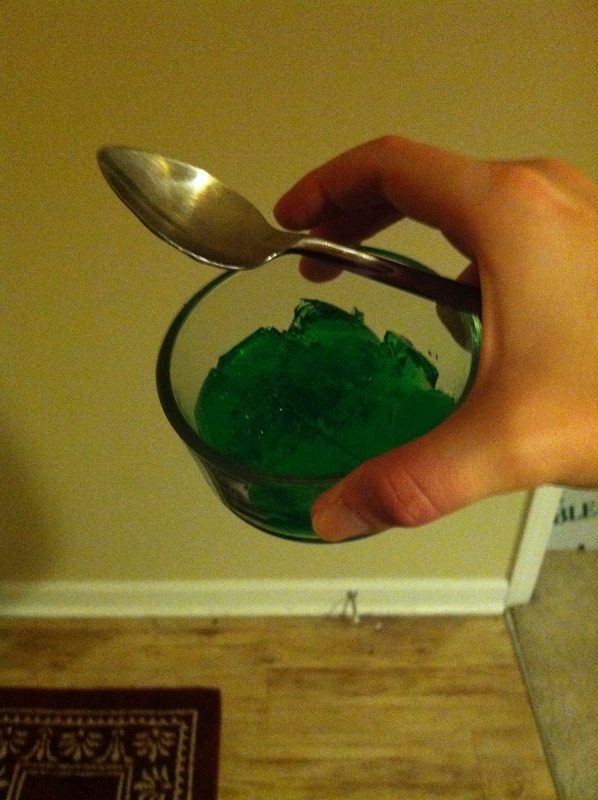 4: Dump gelatin into your mixer with some cold water. Stare at it for awhile, while making a “gross” face. Poke it once or twice to make sure it’s not alive. When you poke it, it sort of gooshes AND wobbles. 5: Since the gelatin didn’t attack you or eat your poking finger (which is super definitely extra washed and hygienic), ignore it and dump the sugar, karo syrup and water into your pre-prepared pot on the stove. 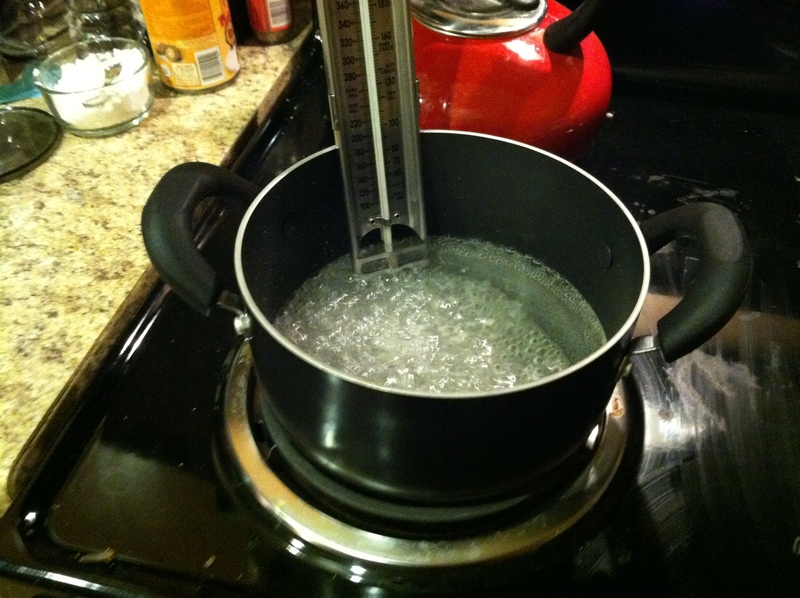 Turn on the heat and stick your preposterously sized candy thermometer in the mix. This pot is actually too big for this task, but turns out sugar, corn syrup and water don;t boil up the same way honey does. Science! 6: When the candy thermometer says the boiling substance will melt all your skin off, but won’t form a hard ball in water, pull it off the heat. 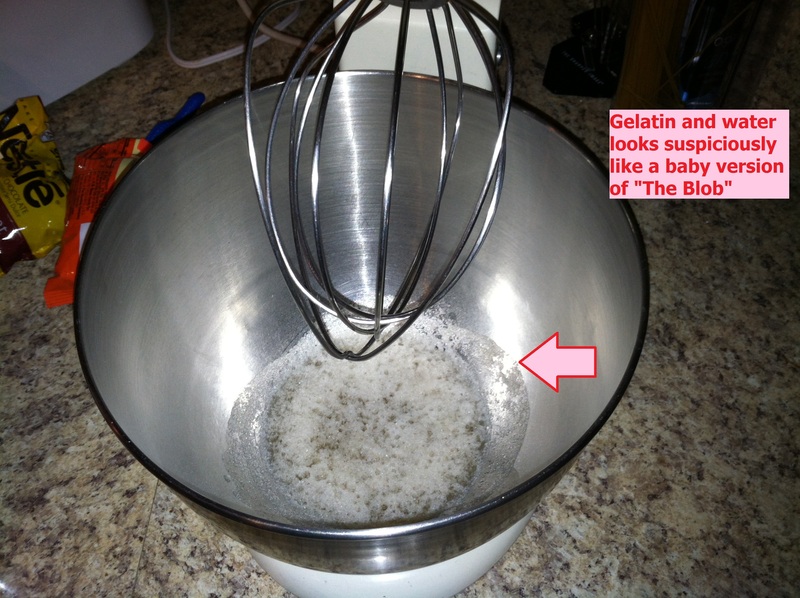 Then, pour it down the side of your mixer into the gelatin, with the mixer going on low or medium. Or, if you have my ancient mixer, make sure it’s going on any speed it’s willing to work on. Point of fact: It is only AFTER you eat cemented sugar that you will remember you have a dentist appointment in the morning. 7: Fetch peanut butter. 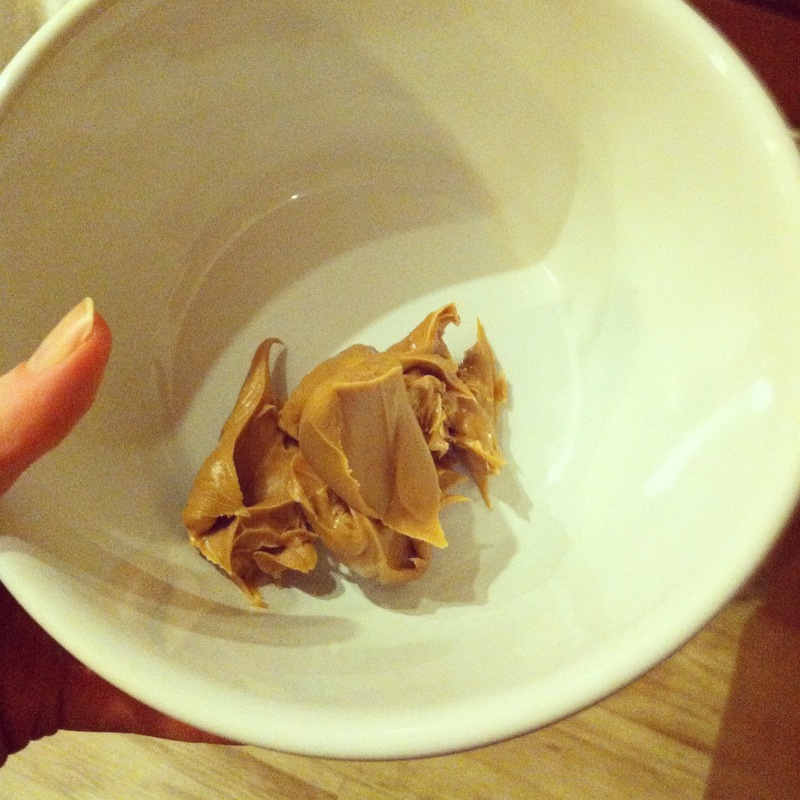 Then, fetch more peanut butter because you ate the spoonfuls you set aside for marshmallow making. 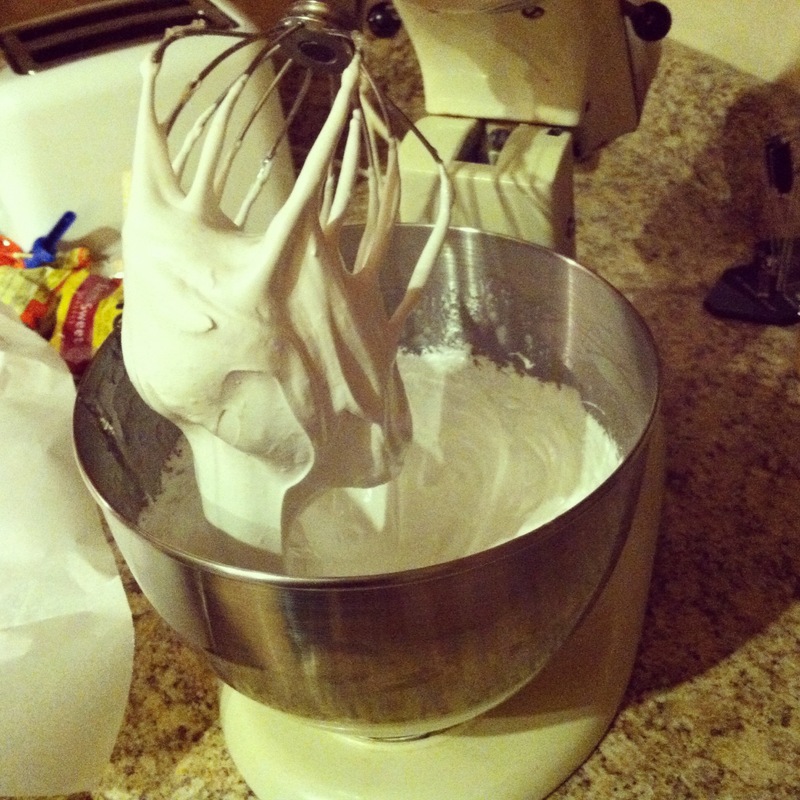 8: When marshmallow fluff is successfully whipped into coolness, mix a third of it with peanut butter. 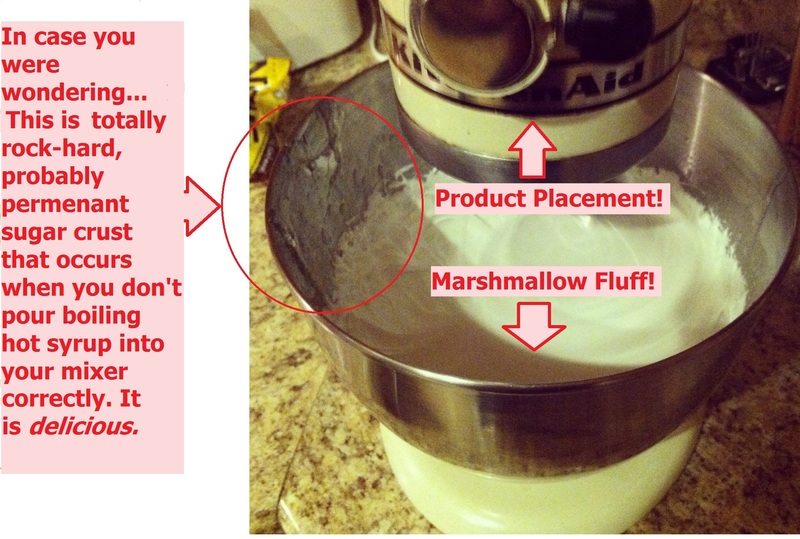 Be sure to eat any fluff that happens to stick to the mixer attachment. 9: Spread the marshmallow fluff in your pre-prepared pan, and attempt to swirl the way-too-cooled-for-this peanut butter fluff in too. Smack the whole thing a few times with your spatula, then decide you don’t care if it’s ugly, because you’re going to make them beautiful by dipping them in chocolate. Total artistry, I know. I could probably give up my day job and rely solely on my marshmallow making. _Definitely_ Also, be sure that all pictures of marshmallow blobs are blurry. 10: Eat disgusting lime jello while you wait for marshmallows to set. This ALSO gooshes and wobbles. 11. 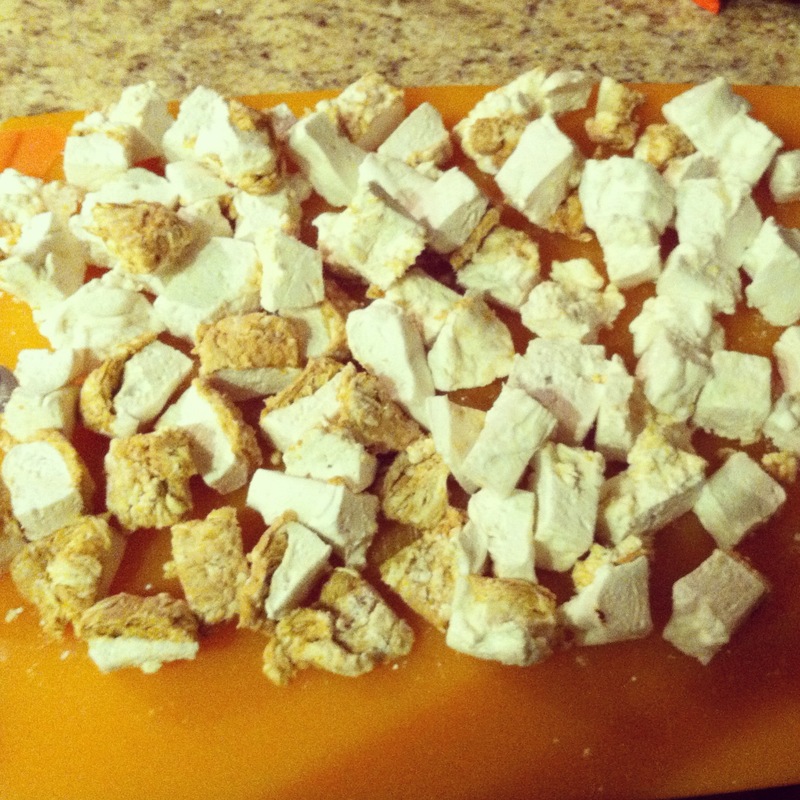 Get tired of waiting, and chop up marshmallows after 2 hours instead of the needed 3-4. Alternatively, you could probably just eat the whole blob. 12. 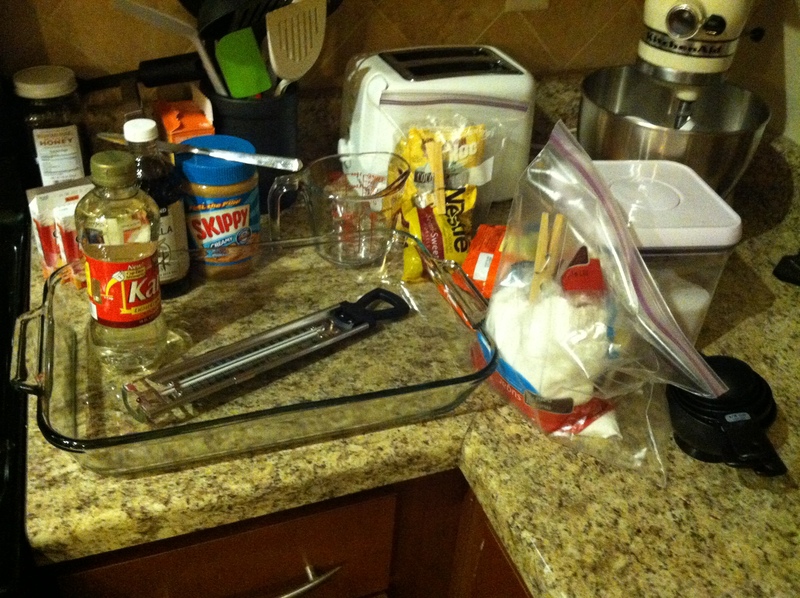 Attempt to make chocolate for dipping using only the ingredients you find in your closet and your microwave. Burn two batches of chocolate and hit your head on the microwave door. 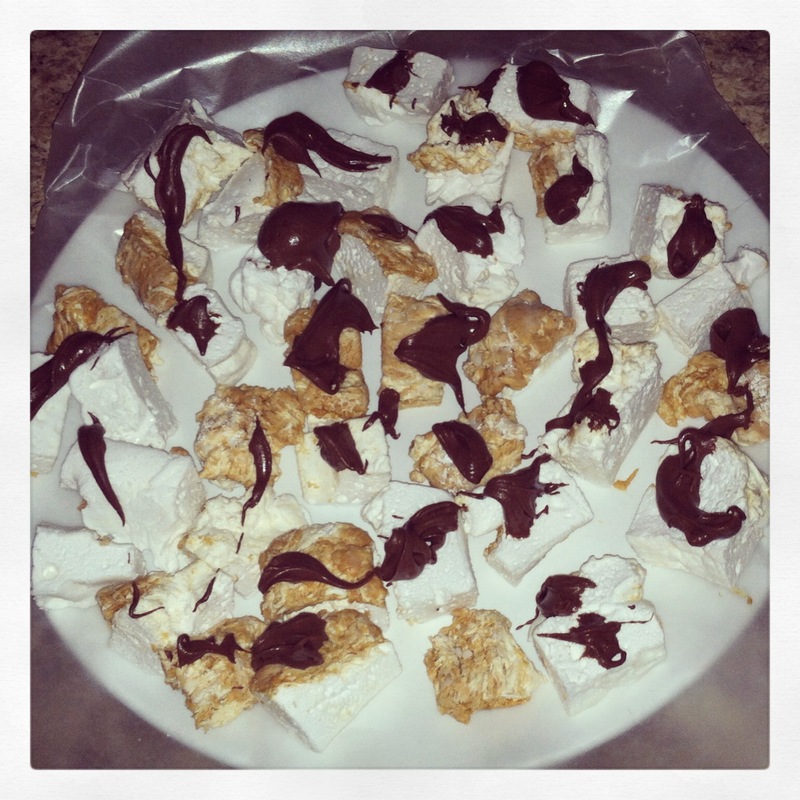 Melt a third batch, and dump chocolate haphazardly over the marshmallows because now you just want to go to bed. This is why I will not be giving up my day job for confectionery artistry. Know what? They taste totally amazing though. Anyway, other people’s diets are bad for my health, so if you could all just start loving yourselves, I’d appreciate it. *This is totally ridiculous to me.We all want to be thinner, prettier, fitter, but how is subjecting each other to weekly weigh-ins in the workplace, while demanding total secrecy about that number on the scale, improving anyone’s health? **Unless you’re me, and you ignore math and science completely and just make things up.